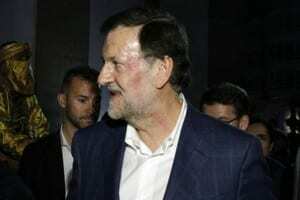 SPANISH prime minister Mariano Rajoy has thanked people for their support after a 17-year-old youth punched him in the face on Wednesday. 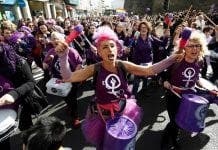 As the general election campaign enters its final hours ahead of Sunday’s vote, the PP leader pointed to the positives, and denied offering the PSOE a pact. The day after the assault, Rajoy tweeted from Barcelona, ‘Still moving forward’. Although polls suggest the PP are on course to lose their absolute majority, Rajoy refused to discuss possible coalitions. “I am holding on to the positive,” he said. “Frankly, my intention is to start to talk about this matter on 21 December,” he said. 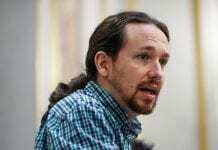 However, Rajoy stated on Friday ‘I haven’t made any offer to the PSOE’. Meanwhile, the youth who punched Rajoy has been taken to a juvenile detention centre. The family’s lawyer released a statement saying his parents were ‘ashamed’ of what he had done.